Suffering personal injuries due to criminal assault is a very difficult situation and most often requires professional help for recovering all the injuries and losses related to it. 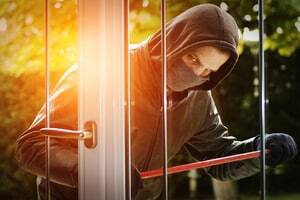 If you happen to be injured during a criminal attack in Homestead, make sure to contact our Homestead crime victim attorneys at the Wolfson Law Firm for your free consultation. Call us at 305-285-1115 to speak with our Homestead crime victim compensation attorneys. You pay nothing unless we recover damages for you, so there is no downside in consulting us about your issues. Located between two national parks - Everglades National Park and Biscayne National Park, Homestead serves as a Miami suburb and agricultural area. It is the place to buy fresh fruits and vegetables and to stop by when driving to or from the Florida Keys. Homestead is a small area populated with around 60,000 inhabitants. Around the US, homestead is widely known for the Homestead Miami Speedway, which hosts a major NASCAR race. You don’t have to be the one who has been at the scene and was injured in the criminal attack to recover for harms and losses. When a person has died in the criminal incident, surviving family members may claim damages for his or her wrongful death. Our Homestead crime victim attorneys at the Wolfson Law Firm can represent those survivors in their efforts to get just compensation for the loss of a loved one. They may be entitled to compensation for the loss of their loved one. At the Wolfson Law Firm, our Homestead crime victim compensation lawyers are ready to provide you with a free consultation to answer your questions. Just call us at (305) 285-1115 today. Whether you’ve been the actual victim, or your loved ones have been injured in a criminal offense, there are three ways to potentially recover damages for your injuries. From the criminal offender. Criminal offenders who are found guilty of the crime can be found liable for all the consequences of their deed, including personal injuries. This procedure usually takes a long time. Sometimes, when the identity of the offender remains unknown, it’s impossible to recover damages from the offender. In many cases, the criminal has no assets to financially satisfy any judgment for damages. From a third person under the Florida premises liability laws. In Florida, as in all other US states, persons who own or manage premises where they invite other people to visit may be liable for injuries and damages under certain circumstances. They have to take all the reasonable measures to provide invitees with a safe environment. When they breach this duty due to a wrongful act or sheer negligence, and that leads to a criminal act that causes personal injuries or wrongful death, they may be legally responsible for all the injury-related damages. From the Florida Bureau of Victim Compensation. Florida laws set a series of requirements that your case has to meet in order to be eligible to claim damages recovery from the Bureau. If you meet all of them, you may recover compensation. Whatever road to damages recovery you choose, make sure you have the right legal help. Our Homestead crime victim attorneys at the Wolfson Law Firm will take the time to explain your options. Reach us at (305) 285-1115 for a free consultation and possible representation. You pay nothing unless we recover for you.